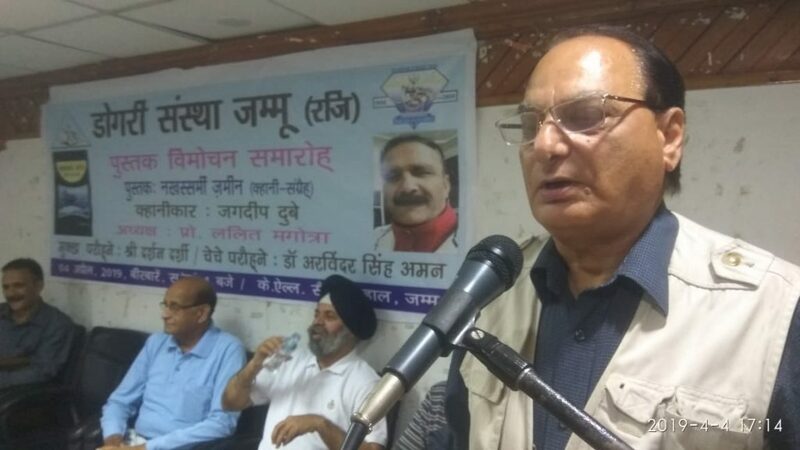 In a function organized by Dogri Sanstha, Jammu a book of Dogri short stories “Nakhassmi Zameen” written by Jagdeep Dubey was released. This is Dubey’s second book of short stories. 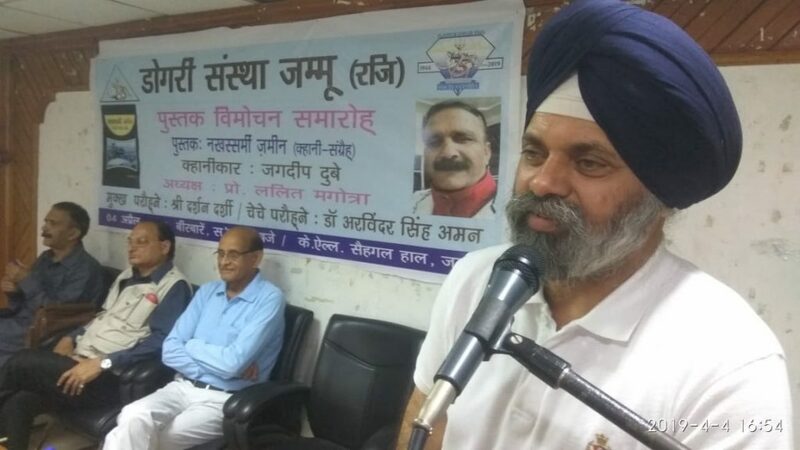 Darshan Darshi, Convener of Dogri Advisory Board in Sahitya Akademi, was the Chief Guest in the function which was presided over by Prof. Lalit Magotra, President of Dogri Sanstha. Dr. Arvinder Singh Amn, Additional Secretary of J&K Academy of Art, Culture and Languages was Special Guest on the occasion. 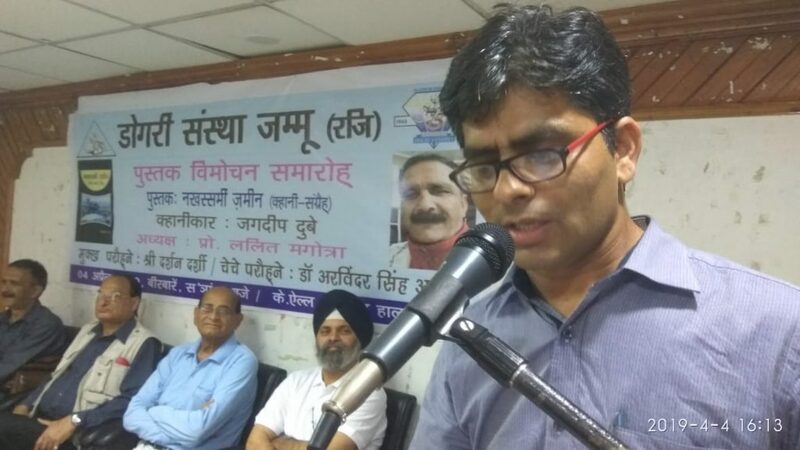 Ashutosh Parashar, a young and promising literary critic read a paper on the released book, in which he presented an in-depth analysis of the short stories contained in the book. His paper was marked by his incisive scholarly approach in dealing with the stories. Jagdeep Dubey, read one of the fifteen stories in the book, which was highly appreciated by the audience. Darshan Darshi, in his comments, appreciated both the pace at which Dubey is publishing his books as well as the quality of his creations. He said that he knows that Dubey has been writing for a long time but the sudden spurt at which he is publishing his books lately is amazing. He emphasized that Dubey had a distinctive style of writing which is unique, both for content as well as expression. Prof. Lalit Magotra, in his presidential address congratulated the author for publishing the book. 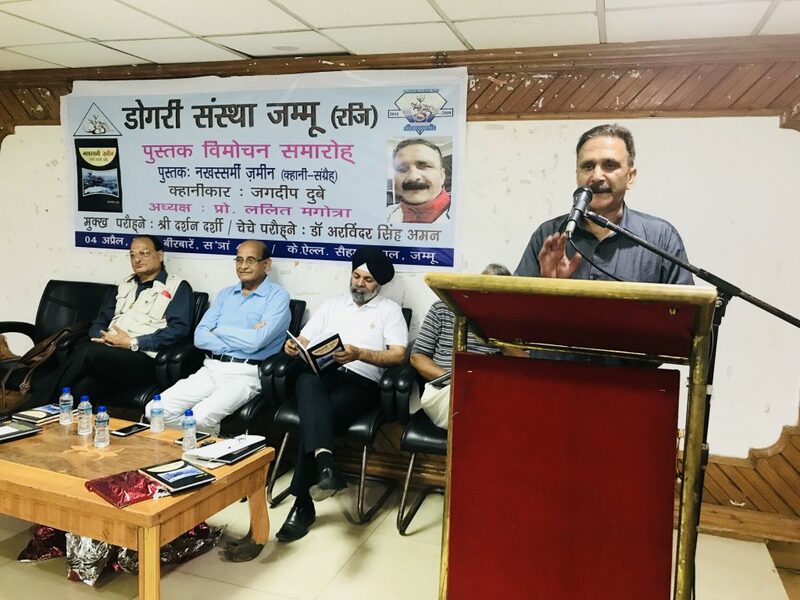 He said that Dubey has added a new dimension to the genre of Dogri short story by coming up with novel themes blended with lyrical style of expression & language which sets his stories apart from other Dogri short stories. 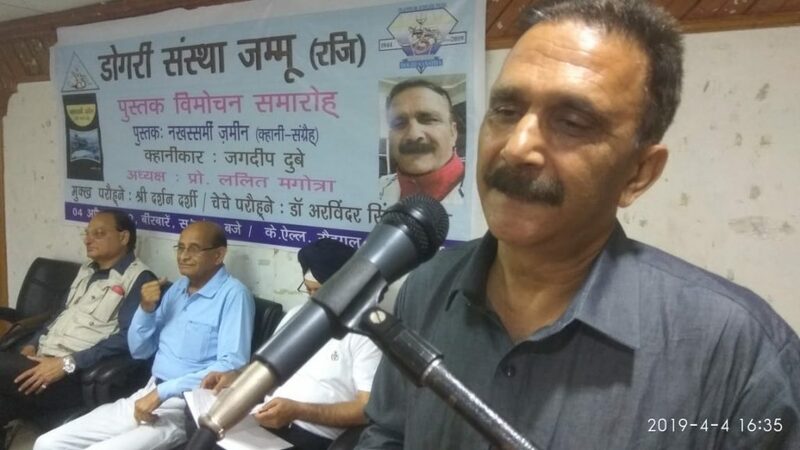 He stressed that Dubey has dared to delve into unchartered literary territory and has expanded the horizon of Dogri short stories. 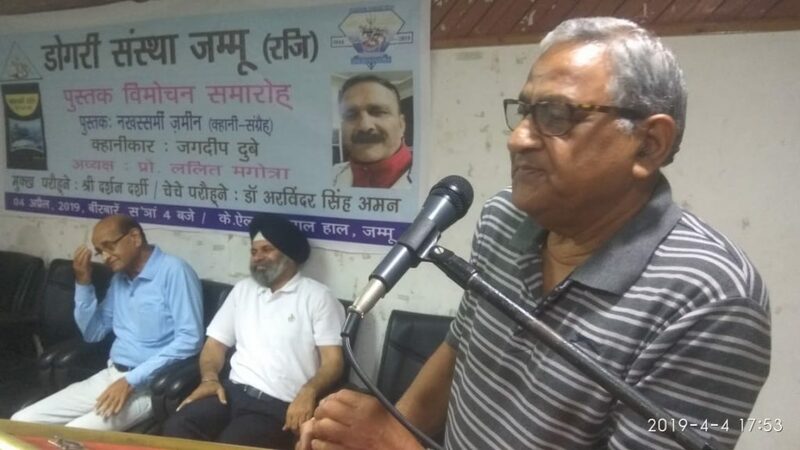 Dr. Amn, speaking on the occasion, said that Dubey’s short stories are full of literary merit, especially he appreciated the chaste and flawless Dogri used by the author in his book. 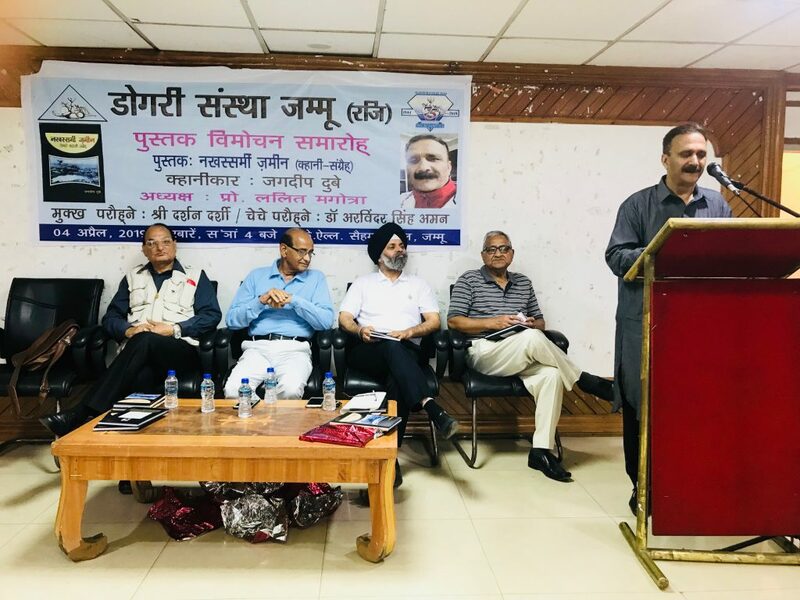 He said that the book is not only an important addition to Dogri literature but has also enriched the Dogri language immensely. 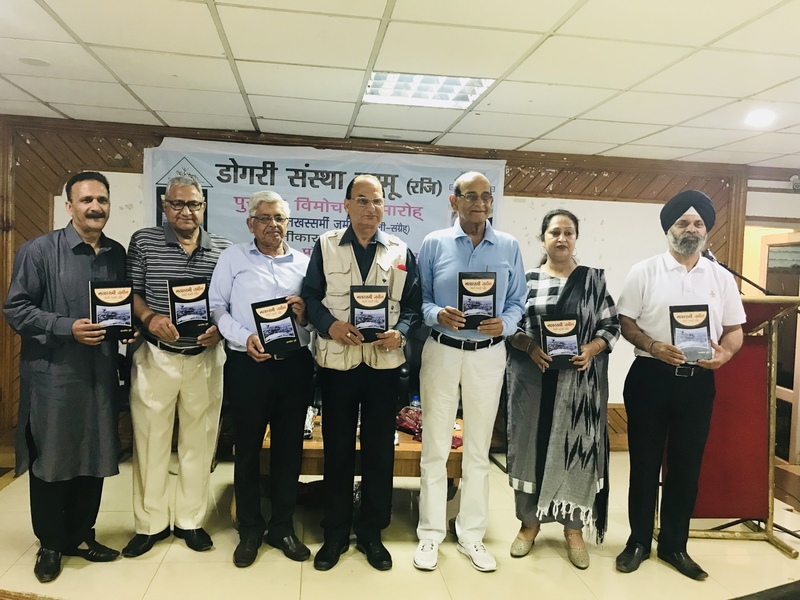 The programme was conducted by Dr. Nirmal Vinod, General Secretary of Dogri Sanstha, who also peppered his anchoring with comments on the merits of the released book. 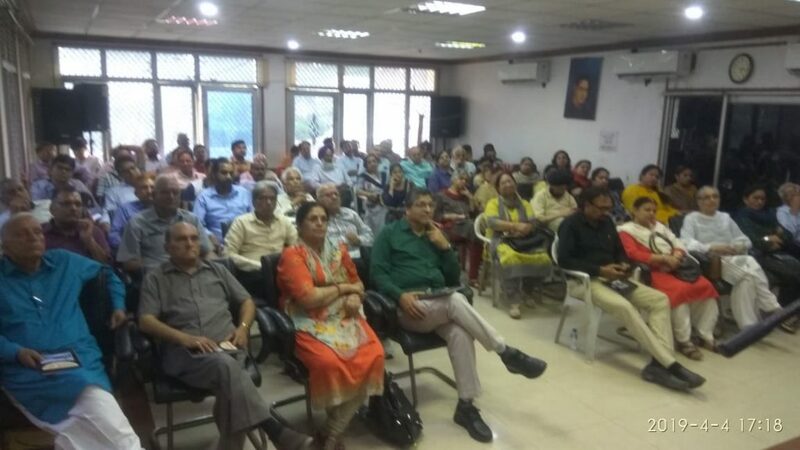 At the conclusion of the programme, Dr. Vinod thanked the audience, who had gathered in large number and consisted of prominent writers, theatre artists and young students. He also thanked the media.